Laura (from Luxembourg) and I took Primera Plus from San Miguel de Allende to Guanajuato. Once we arrived in Guanajuato we pulled out our printed directions to our hostels and found our way to the local bus stop. Laura and I were staying in separate hostels since I pre-booked the most expensive hostel on Hostel World, Casa de Dante. I don't know what came over me to book such a pricey place but unfortunately for the hostel when I am pay top dollar I expect a lot. Casa de Dante was definitely not worth the extra pesos but I did get to do my laundry for free and the breakfast was tasty. Guanajuato was beautiful but it was much larger than I had expected with the feel of working class city. One morning Laura and I wandered the small streets that wound up the hills stopping to take photos, sit on church steps and sip soup at the market. After a morning of exploring Laura and I both needed a nap. Man, there are a lot of steps in Guanajuato. If you ever visit make sure you have your walking shoes on, this city is not for the sitting. We also stopped by the Diego Rivera museum which was located in his old house not far from the University. The museum had an excellent selection of his paintings and the bottom level displayed his home. My one complaint was that the museum signs about Diego Rivera were not translated in English. I know, I should see this as an opportunity to practice my Spanish but instead I just wanted to learn about the art. When I was in middle school my family had Thanksgiving in Guanajuato. One night my sister and I stayed with our grandam, Meem, in the hotel room as my parents went to join the crowds and walk the streets and sing. Besides the fact that it was one of the most fun nights with my grandma, my parents came back with these white ceramic drinking vessels, which I have always remembered. Since I was finally back in Guanajuato (and allowed to stay out past dark) a few people from the hostel and I joined the Callejones to drink and sing through the streets. 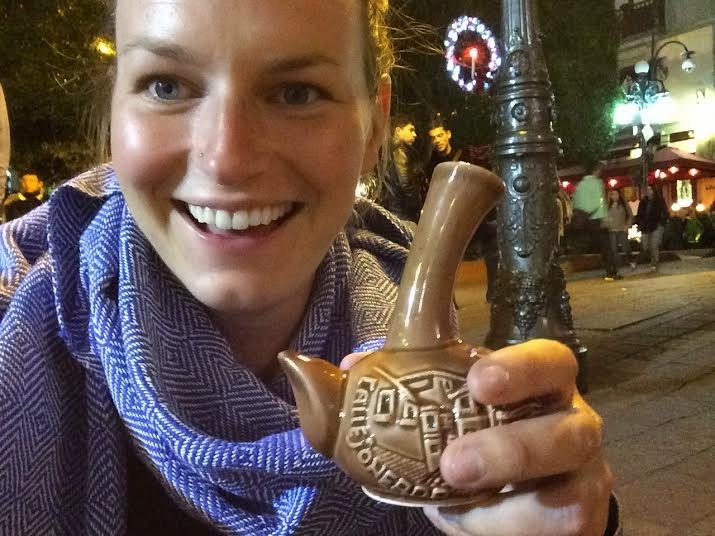 I paid my 90 pesos and got my weird looking drinking vessel (best 90 pesos I have ever spent). 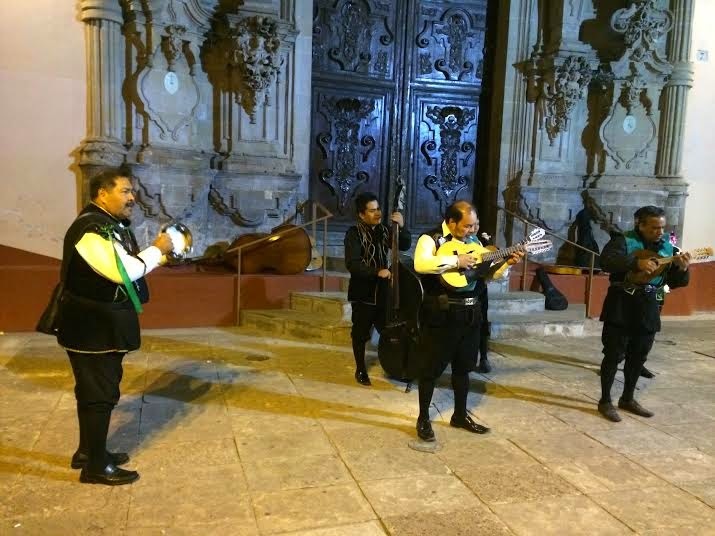 The residents of the callejones (small streets) must be exhausted by the nightly singing past their houses but it sure was fun to participate in a famous Guanajuato tradition!